Over the next several years, our nation will have to confront some critical issues regarding the way we provide and pay for long-term care. Our response will not just affect the fate of millions of older and younger disabled persons; it will also be a defining moral moment for the country. Will we divide or unite around a commitment to helping those who have little capacity to meet their need for care on their own? Most families at some point confront the need for long-term care (LTC) services, for older family members or younger disabled relatives. It is very difficult for families to anticipate and plan effectively for LTC needs, which are highly variable and must often be provided over a period of several years. The economic and emotional burdens associated with caregiving can be enormous, whether the care is provided directly by family members or through paid assistance in the form of personal care, homemaker services, adult day care, home health care, assisted living or nursing home care. These burdens will increase over the next few decades with the aging of the baby boomer generation. Compared to many other countries that have already taken major steps to prepare for these unavoidable realities, our starting point is grim. The U.S. has, with the possible exception of the U.K., the most fragmented and underdeveloped LTC system among the developed countries, along with the lowest level of public funding for LTC services. And while other developed countries have been preparing for big increases in their older populations and the associated growth in the need for LTC for many years, the U.S. and most state governments have either failed or barely begun. Policymakers in several European countries and Japan perceived that the public wanted substantial improvements in the quality of LTC services and was willing to pay for it. As a result, they have undertaken major LTC reforms since the 1980s. Improvements include the provision of greater choice and flexibility in LTC options by adding in-home and community-based services and reducing reliance on nursing home care. The Nordic countries (Sweden, Finland, Norway, and Denmark) have provided a relatively generous array of LTC services, from institutional to many in-home services, since the 1970s, when their elder population began to grow at accelerating rates. The long-term care challenge the U.S. has done comparatively little to prepare for is now set to explode over the next 20 years. About 10 million Americans now need LTC services. A little more than half (5.2 million) are age 65 or older, and 1.71 million are 85 or older. These numbers are projected to double over the next 30 years, with the aging of the baby boomers who began turning 65 this year. Here is how things work now in the U.S.: The vast majority of older persons needing LTC receive assistance from family and other unpaid caregivers. The value of this assistance now exceeds $375 billion annually. Only 29 percent of those needing LTC receive services from paid caregivers. About 40 percent of the cost of this care comes from the pockets of the elderly and their families, 7 percent from private LTC insurance, 10 percent from Medicare and 42 percent from Medicaid, which covers only those who have exhausted their assets and have low incomes. Medicaid now spends about $125 million annually for LTC services for impoverished older and younger disabled persons. The amount required to provide even the current level of services will triple by 2040, with the growth of the older population -- especially those 85 and older -- and the increasing longevity of younger physically disabled and intellectually disabled persons. And with increasingly fewer women available to provide “free” caregiving services for a rapidly increasing population of frail elders -- and more men being called on to meet the caregiver shortfall -- the demand for more public sector support of community-based LTC services is likely to grow. But current political trends do not support an optimistic view of the nation’s capacity to provide income and health care security, including LTC, for the next generation of retirees. The need for more money runs directly counter to the current emphasis among policymakers on austerity in federal fiscal policy and the continuing pressure on state budgets. This agenda has gained dominance by persuading a substantial minority of the electorate and a majority of the policy elites that lower taxes on the wealthy, reduced funding for domestic programs and more personal and family responsibility and increased reliance on deregulated markets are essential for a prosperous economy. In the course of privatization, however, contracts are often awarded in the absence of any true competition and with little accountability. There is very little evidence supporting the superior efficiency and cost-effectiveness of privatization compared to government-operated programs. For example, the Medicare Managed Care program, which is dominated by proprietary HMOs, has never demonstrated greater efficiency or better clinical outcomes than the traditional Medicare program. The current Medicare Advantage program actually costs more than the traditional program. A recent study by the Project on Government Oversight found that private contractors on average cost twice as much as public employees to provide the same services. Congress took a small step forward with the 2010 passage of the Community Living Assistance Services Support (CLASS) Act, a voluntary public insurance program that would provide a modest daily benefit ($75) to help offset LTC expenses. But, in another case of short sighted policymaking, a bipartisan group of senators (the "gang of six") called for its repeal as part of a broad deficit reduction plan that won the support of President Obama. Obama's administration then decided that the CLASS Act could not be implemented, essentially killing the program. But for the near future, at least, it would appear that the LTC policy gap between the US and the rest of the post-industrial world is likely to widen. When and if the nation brings itself to face the LTC crisis, policymakers will also have to decide whether to make eligibility for the program either universal or means-tested, and targeted to the low-income elderly with few assets. Most European countries and Japan now have universal LTC programs that base eligibility on the assessed need for services with no regard for income and assets. On the other hand, the U.S. and most English speaking countries use income and asset levels (means test) to determine eligibility for HCBS programs (see "European Experiences with Long-Term Care", 2006). The U.S. also uses a means test to determine eligibility for nursing home care in the Medicaid program. The U.S. relies heavily on private (out-of-pocket or private insurance) sources to pay for LTC as well as acute care services. A 2003 World Health Organization report on social health insurance in European countries noted that support for providing services to the broader population, rather than just to the poor, has several rationales, including the desire to provide protection through social insurance, viewing LTC as a “normal life” risk. This rationale is reinforced by difficulties in developing private LTC insurance, as well as the risk that broad segments of the population may become impoverished by paying for LTC services, and hence burden programs. Another rationale is the desire to substitute LTC services for more costly acute care (particularly hospitalization), as was the case in Japan. Finally, movement toward universal programs may also reflect a desire to reduce stress on families, with a related interest in preserving family care by providing assistance to help sustain caregiving. Over the last two decades, several European countries and Japan have created universal LTC programs funded by a range of social insurance strategies -- mainly payroll taxes or from general revenues. This trend is likely to continue across most developed countries for two major reasons. First, universal LTC coverage reflects the value that most of these nations have placed on the concept of solidarity among their citizens (a sense of mutual responsibility), social cohesion, and intergenerational reciprocity. Second, universal coverage programs appear to be fiscally sustainable over the next 30 to 40 years with some, mainly Scandinavian countries, experiencing very small increases in already high percentages of GDP spent on LTC (2.5 to 3 percent), and others with relatively modest projected increases of 1 to 2 percent (see "Long-Term Care in Developed Nations: A Brief Overview", 2003). Instead of following the neoliberal path by replacing successful social insurance programs with market-based approaches that ignore the policy lessons of the last 70 years, we should be preparing to extend them, by providing more public support for LTC, including far more funding to support informal caregiving. We cannot expect informal caregivers to continue bearing most of the burden of caring for a growing population of dependent elders if we are not willing to support them by subsidizing the work they do, implementing a paid family leave program, and creating a more seamless nexus between the formal (public) and informal (private) care systems. Such a reversal of current policy trends may not seem politically feasible at the moment. 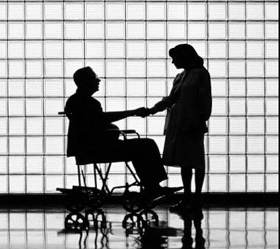 It could, however, occur over the next decade in response to the declining availability of caregivers relative to the growing need for them (the caregiver gap), the increasing salience of LTC as a political issue within the growing population of older voters, and the emergence of a critical mass of organized caregivers with a policy agenda. This reversal could also arise from a spreading awareness that the neoliberal privatization approach to retirement policy is not an effective, efficient, or morally defensible substitute for an ethic of care that binds the generations within families and the larger society. Perhaps the first real sign that such a reversal is underway will be successful efforts by policymakers to begin restoring the nation’s fiscal integrity, and generating the revenues required to sustain our publicly supported retirement system and to fund an ethic-of-care-oriented LTC system. The growth of the older population and the need for caregiving assistance over the next several decades could have a salutary effect on our moral culture and related political priorities. For more than 20 years, shallow, materialistic values -- which are most vividly expressed in the greedy and unaccountable behavior of our corporate elites with their outrageous compensation packages and reckless financial practices -- seem to have become as dominant in American culture as they were in the 1920s. This narrow focus on private gain has eroded the kind of communal values (such as generosity and compassion) required to ensure a sufficient supply of LTC services and other essential public goods. This may change as many more people are affected by the caregiving experience and come to understand the existential meaning of caregiver loneliness and the fundamental vulnerability of everyone. More of us are also likely to perceive the injustice of caregiver abandonment, which has already become all too common. Neoliberal economic policy is largely responsible for ruining our economy over the last several years. Now, a resurgence of neoliberal ethics in the form of sweeping austerity and defunding of the social compact may destroy what’s left of our capacity to protect the most vulnerable, including poor children and the frail elderly. Will our moral culture be the next victim of this kind of thinking? Public polling for the last several months indicates that the majority of Americans do not share the neoliberal values and goals (no tax increases, reduced regulation and budget austerity) that are apparently held by most members (with several striking exceptions) of the corporate-sponsored political class. Polls show that the public opposes cutting Medicare, Social Security and Medicaid and a majority actually supports increasing their benefits and funding. This sharp division between public and elite attitudes regarding public services, including LTC, represents an opportunity for leaders and organizations to step forward and begin to occupy the moral and intellectual vacuum created by the failure of our current elites to serve the public interest and fulfill their moral and fiduciary responsibilities. -CA's proposed 2012-13 budget would cut the budget for IHSS (Medicaid program that pays family caregivers in CA) by 20% and would cut any funding for "domestic and related services" in IHSS and also eliminates funding for the 11 Caregiver Resource Centers. When will we hit the tipping point? Or, as Jane Gross put it, "Are Caregivers mad as hell?" I am well aware that comments I write here will be preceived as self serving because my area of focus and expertise is long-term care insurance. The issue is not that I sell it, the issue is why people should own Long Term Care Insurance and that they purchase it correctly the first time. There is the 3in4 need more campaign which you maybe is promoting that people need to plan and own long term care insurance. Other articulate spokes people is Harley Gordon and Phil Davis. Most writers perceive long-term care as a middle class issue. It is everyone's issue even for the affluent. It would be my pleasure to correspond with you directly from time to time. If there is information which we may provide to one another I would welcome this. It is vitally important that personal responsibility be factored into any long term care solution. Our current system actually rewards people for not preparing to grow old. Aging is not a rich vs poor problem rather a human condition. Just like other health issues such as obesity, the desire to take some personal responsibility in the outcomes is necessary to achieve success. My 78 year old mother has Alzheimer's, and it's progressed to the stage where she's no longer completely able to care for herself. Her doctors and nurses at the (outstanding) retirement home where she's lived for the last ten years all agree that she will need to be moved from her apartment to the assisted living wing within the year. Unless... unless she hires a part-time home care aide for $2,500/month. With daily one-on-one assistance mom could remain living "independently" for several more years. She's physically active and quite social; it's the memory loss that’s debilitating. She knows she needs to go to the nurse's station to take her pills three times a day, and she goes. Sometimes she goes 15 or 20 times. Sometimes she just rides up and down in the elevator and forgets to get off. As a retired FX County school teacher her combined Social Security and state pension comes to $3, 045/month. Her retirement home costs average $3,600/month. She has investment income from IRAs that roughly make up the difference, and in good years it has left her with a few thousand extra, but nothing close to $30,000/year she needs for a home care aide today. I'm disabled and live 3,000 miles away where I'm an outpatient at a physical rehab clinic. I do what I can as far as managing her finances and all the paperwork that's beyond her, but I don't have the financial resources to pay for an aide, and I'm not physically capable of being a caregiver. Although she bought into a progressive care facility where her monthly fees won't go up when she moves to the assisted living wing, the quality of her life will take a huge hit. The irony of this is that in actual dollar costs it would be less expensive to pay for a part-time aide than it will be for her to be in full-time assisted living care, but that’s not how the system works. Mom taught first grade for 25 years, she was frugal, and through good planning and some luck she was able to set aside a $250K nest egg. But at the end of the day, it isn't enough. Yes, she'll get cared for, but chances are she'll have to spend the last few of her "golden years" before the dementia is completely disabling being warehoused in assisted living instead of remaining independent with some in-home help. If this is the best we can do for someone who led a successful middle class life, someone who scrimped and saved for retirement, then what will happen to all the people who don't have a defined pension and $250K in savings? ...but you should have something you and your family can depend on. No one in my family considered that my father, always in great shape, would have a heart attack at 70 pass away - least of all my mom. With my father gone, my mom, who has always been in poor health, is now the responsibilty of myself and my brother in terms of her care. We couldn't afford in-home care and while her insurance did cover some, the out-of-pocket cost was killing us. Instead, we take turns with her care and get our families to help as much as possible. In fact, my daughter found a senior specific cell phone from a prepaid provider, SVC, and is trying to teach my mom how to use the basic functions in case of an emergency. It's little things like that, the help, that get us through - money wise it's a different story.